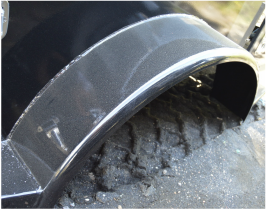 Bradford Built Stepside standard features include powder coated black for a good shine and an easy to wash durable surface. Four inch flip-down sides on greaseable hinges are outfitted with flush mount tie downs for securing loads. 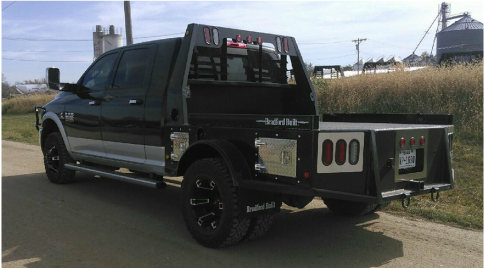 Sealed beam LED lights and a 30,000# capacity recessed gooseneck ball are also included. 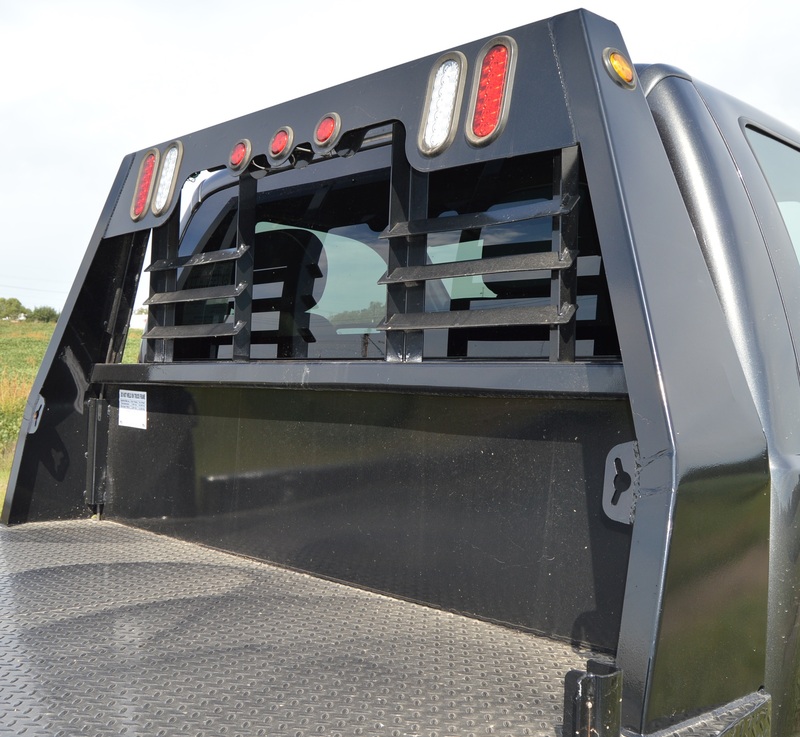 The Stepside bed can be ordered with optional Aluminum Doors. Stainless steel dress up kit standard on Stepsides. 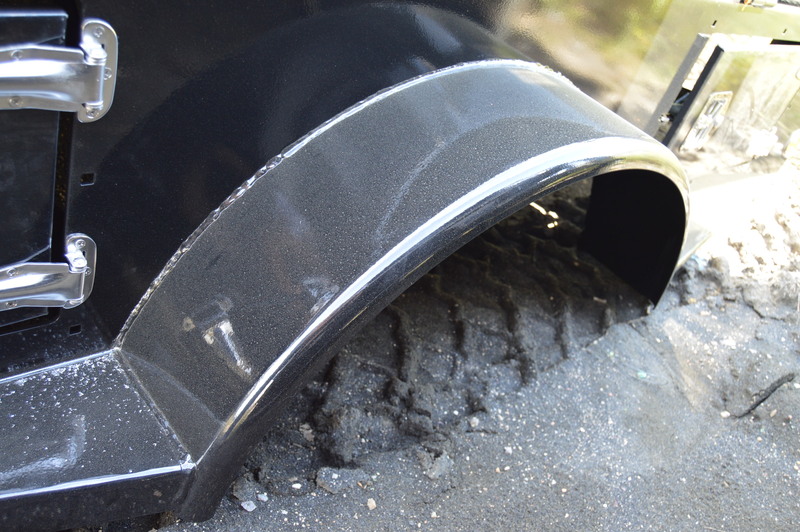 Wide fenders with steps help with access to deck. Our formed Headache Rack is a signature look of our beds. This feature comes standard with stop and reverse lights as well as side markers. You will for sure be seen with these added lights. 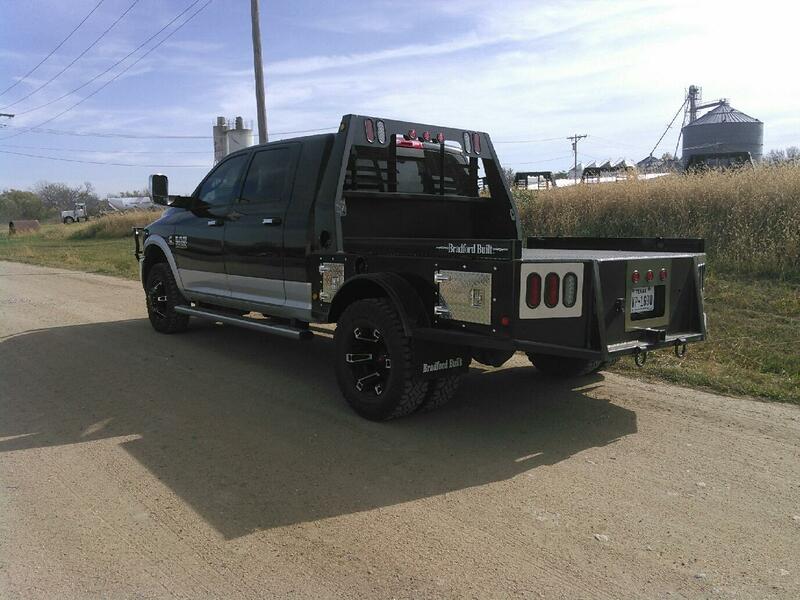 We build every bed with a 30,000# rated Gooseneck Hitch. 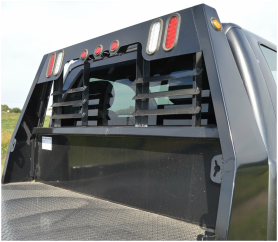 Receiver hitch rated at 18,000# Tow/1,800 hitch weight based off of use of standard receiver with top of ball level with bottom of receiver tube. 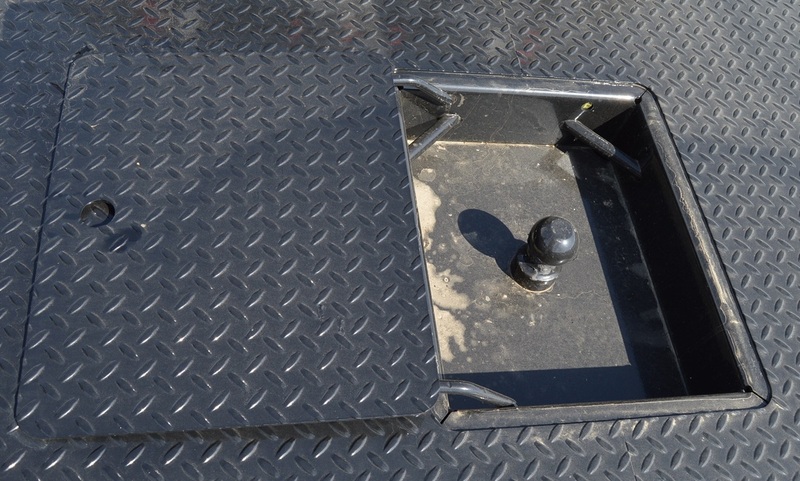 If you are using a different hitch (drop or pintle) please call with specs so we can give you a specific rating.